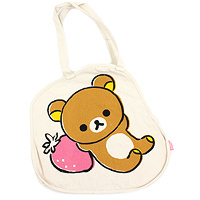 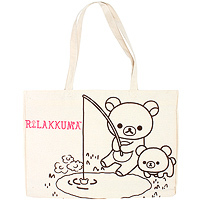 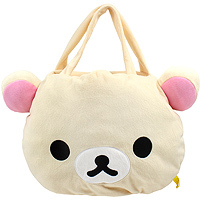 This lovely soft bag is perfect for any Rilakkuma fan to carry their shopping or use as a handbag, and the cute design will go with almost any outfit. 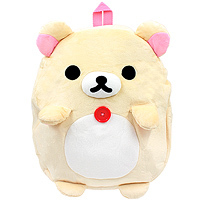 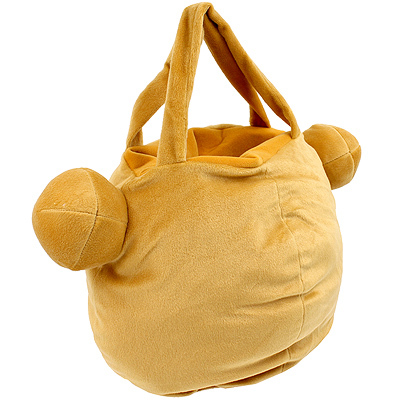 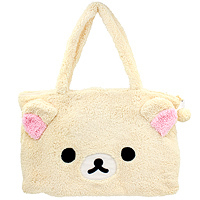 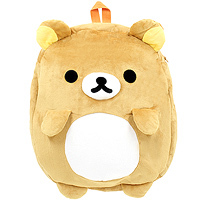 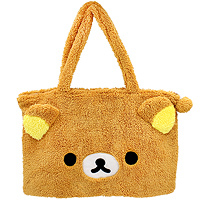 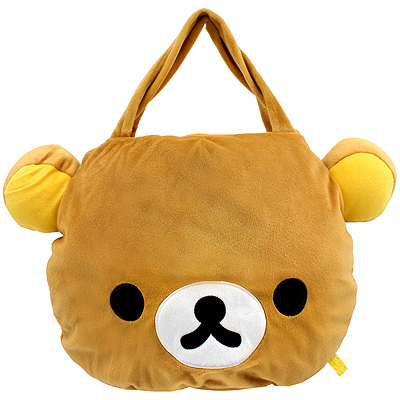 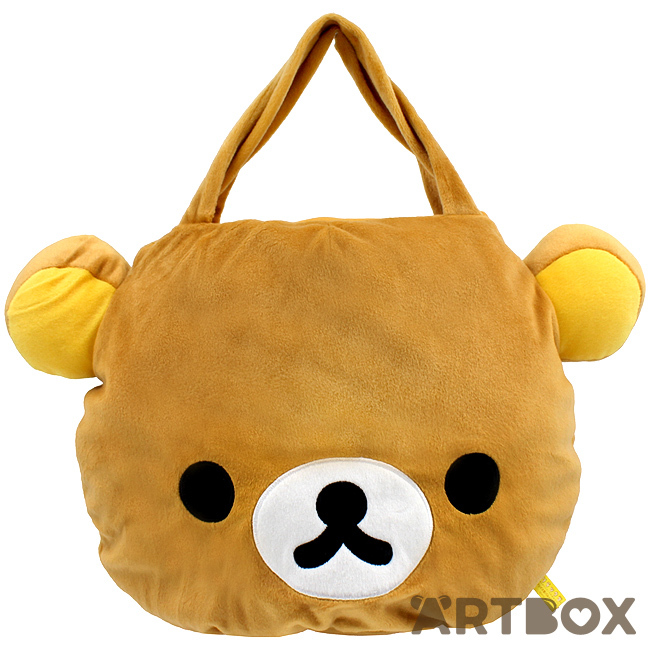 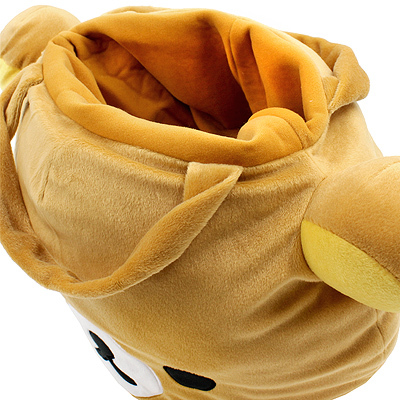 The front features embroidered classic design of Rilakkuma's face and the bag is partially stuffed, making it look like a giant plush even when empty. 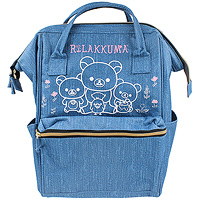 It comes short handles, perfect to carry on your elbow and has enough space inside for all your essentials and more.